JYJ. . HD Wallpaper and background images in the JYJ club tagged: photo stand up jyj jaejoong yoochun junsu xia micky hero chun jae nii. 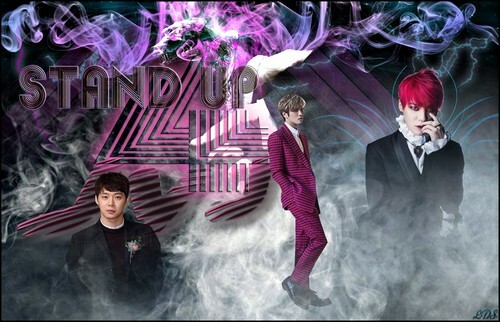 This JYJ wallpaper might contain well dressed person, suit, pants suit, pantsuit, business suit, sign, poster, text, and chalkboard.